At Lyngen Adventure we pride ourselves on attention to health and safety and take our clients’ enjoyment seriously. Many of the environments we explore do present hazardous elements. For the safety of everyone involved we have placed certain restrictions on participants of our activities. These restrictions are detailed in your confirmation email: – Please take note of these restrictions; as we cannot screen every client prior to coming, we rely on honesty. We reserve the right to refuse participation to anyone who is out with these guidelines. A refund may not be given in such circumstances. It is the organisers’ responsibility to inform their group of these restrictions. A parental consent form must be completed for anyone under the age of 18 on all of Lyngen Adventures activities. Anyone under the age of 14 must have a parent or chaperone present during the activity. Participants may be asked to sign a risk acceptance form on arrival highlighting medical conditions. Things that may pose a problem are: Pregnancy, Skeletal and Muscular Problems, Heart and Respiratory Problems, Recent Operations. If any of these affect you please phone for advice – Asthma and diabetes do not normally restrict participation. Please bring all medication you require. Finally, please note that minimum numbers are required to run certain trips. If this number is not achieved 3 days before the trip is due to go­ahead, one of our office staff will contact you to make suitable alternative arrangements. 1. Payment – Bookings will be confirmed on receipt of a deposit of 50% of the total booking fee. The outstanding balance is payable in full 14 days before the date of the activity. Debit card payment or credit card payment (with a 2.4% surcharge for Norwegian bookings & 2.9% for international) can be made online through our booking system. Please note Lyngen Adventure reserve the right to deduct payment for no shows if not notified out with the 14 day period. 2. If you Cancel – Deposits will be forfeited upon cancellation. All cancellations and reductions in numbers should be notified as soon as possible by email to post@lyngenadventure.no Any cancellations within the 14 day period prior to the activity date will result in the group leader being held liable for the full cost of the cancelled activity or reduction. 3. If We Cancel or Make Changes – In the event of us having to cancel an activity, a full deposit will be refunded or a free transfer to an alternative date or activity of the same value (where available) offered. 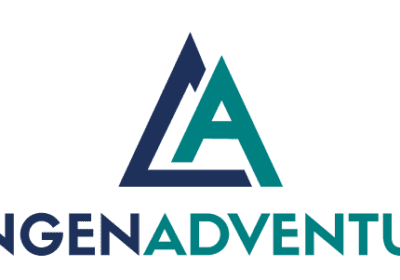 Lyngen Adventure will not be liable for any loss damage or expense resulting from force majeure or any unforeseen circumstances outside of their control e.g inclement weather or change of venue for safety purposes. Lyngen Adventure reserve the right to amend the running order of your activity day should this be necessary to provide the best service possible. 4. Insurance and Safety – Lyngen Adventure have full public liability insurance. It is the nature of adventure activities that there will always be some degree of risk. Our insurance does not cover you for inherent risks or client negligence. Whilst not mandatory you may wish to arrange your own personal injury and travel insurance. Lyngen Adventure does not take responsibility for personal belongings and equipment brought along on any of our activities. For your own safety it is imperative that you abide by the decisions of our guides. We reserve the right to make changes to planned routes and venues as a result of adverse or impending conditions. 5. Alcohol and Drugs – Lyngen Adventure also reserves the right to refuse participation to clients that they believe to be under the influence of alcohol or drugs and in such circumstances no refunds shall be given. 6. Parental Consent – It is a legal requirement for anyone under the age of 18 years to have parental consent. Parental consent forms are available in email format on request and must be completed prior to joining us on any activity, unless the parent is taking part in the activity with them. Participants under the age of 14 are required to have a parent or chaperone present under all activities. 7. 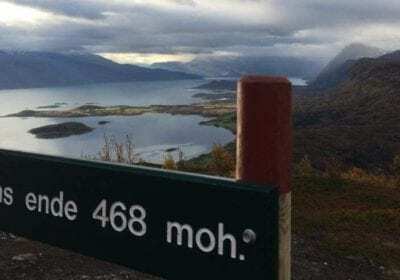 Transport – Boat activities all meet at the Lyngen Adventure office in Strandveien 11, 9060 LYNGSEIDET unless other arrangements are agreed upon beforehand. Land activities may take place on several locations on the Lyngen peninsula and surrounding municipalities, chosen especially to suit the activity. If Lyngen Adventure are unable to provide transport to and from activities or you do not require transport. Please note carefully the location in your confirmation email and it is your responsibility to ensure that you arrive on time and safely. Although we will always help where possible, Lyngen Adventure will not be responsible for lateness or non arrival due to breakdown, traffic or unplanned timings. If you need assistance, please ask a member of the team as soon as possible. 8. 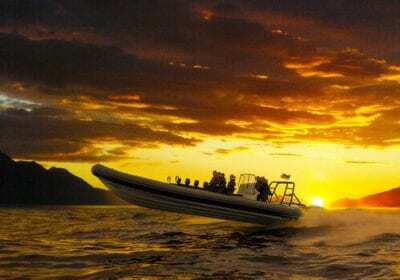 Quotes – If you have received an offer from us on a private or charter trip package, any quote that includes external suppliers are subject to price adjustment. And we may bill you in arrears for all extra costs incurred as a result of failure to abide by the provided schedule. The same goes for any request that alters the timetable, content, or duration of the already received schedule. 2. Media – Lyngen Adventure may publish videos and or pictures from any of our tours, on our webpage and social media sites as a part of our marketing strategy. If you do not want to appear in any of the posted media please let us know beforehand. If we already have posted any form of media with you clearly visible in it, and you want it removed; Please attach a link to the media regarding and send it to post@lyngenadventure.no and we will remove it as soon as possible.